Is been a while i made a post. Never mind me, kinda had some exams within these few days and i hope you are wishing me the success i desire right? I know you would be saying yea. Well, mobile communication companies have been doing great these days and we are at the peak of having more gadgets introduced as the days go by. The HTC M8 One and the Samsung Galaxy S5 are the new phones recently launched between the two mobile phone companies, HTC and Samsung. We have had a deep review of the Samsung Galaxy s5, now comparing some of its functions to the HTC M8 One is one big decision that may be very difficult to make. 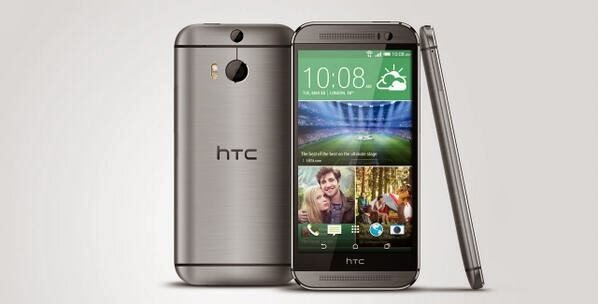 HTC claims that the Samsung Galaxy s5 is no match to there latest HTC M8 One in terms of quality and affordability. Could HTC be saying the truth? Now this is one question i have been asking myself for some time now. Lets check out the close lines between this two phones in questions. Starting from there prices, i think the HTC M8 One is less expensive than the Samsung Galaxy s5. But that is by the way. If we had quality speaking for itself, then the price should be the least factor to put into consideration when going for any of these devices. Both devices houses an Andriod 0S of 4.4 (Kitkat) Operating system. This may not be a substantial evidence of the proof of which is better, since we have not drifted our comparisons to the storage and Ram. Of cause you would agree with me that every computer device relies on a better Ram to operate better. A larger Ram size could be an added advantage. While checking out the features, i observed that both phones houses a Ram size of 2Gig. This is a kind of a similarity. So we may not be having a punch line there. With both having up to 32Gig of internal storage, with a memory card slot that can contain up to 128GB, i bet there would be no great difference between the both. Now i was going to give some better option over the other, but i would not want to be bias till i get to use both devices. The only special thing i noticed about the Samsung Galaxy s5 is its ability to withstand water.Since HTC got no feature like that in there recently released phone, then Samsung may have an advantage over them in that case. You can purchase any of it via Konga.com or Jumia.com.ng if you are in Nigeria. Thos outside the shores of Nigeria can shop at Amazon.com or Ebay.com. The HTC One M8 cost up to N107,000 Nigerian Naira. 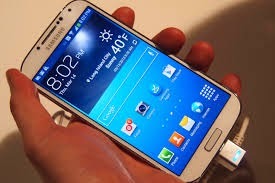 You can check the price of the Samsung Galaxy. Keep Your comments coming. I may be needing it to know your opinion of this . Still trying to carry out my Analysis. I guess I'd vote for samsung Galaxy S5 which is my favorite smartphone too. Do you know that the HTC could also be a great machine? Yea. Is something i have noticed. Samsung sells more of there name than any other thing and this is what has kept them far. I am not trying to confuse you, but i'd rather convince you though. Thanks for visiting my blog. Cheers!